People either believe in ghosts, spirits, apparitions, whatever, or they don’t. I do though. I believe people leave behind their energy in a soul. I don’t really care if that sounds crazy. I’ve been touched on the head while I was sleeping by something that I couldn’t see, and it scared me so much. I didn’t like to talk about it for a while because my dad thought I was nuts, but my mom believed me… Or at least, she said she believed me! My grandmother was a nurse, and she died in my house a few months before I was born. She was a really nice women, and my mom said I shouldn’t be worried about it. Of course people who have had similar experience try to rationalize the situation after its occurrence. I told myself I was probably dreaming, but I know I wasn’t because my eyes were wide open. I was so frightened. It really did happen. I think in my mind I was more scared, and I was trying to talk myself out of the fact that something touched my head rather than someone because no one came into my room that night. What I do find annoying is watching television shows where people go ghost hunting. I could do that. I could get a team together and make a show where all I hear is creaking and crackling noises. The people on the shows go, “OH MY GOD, DID YOU HEAR THAT? !” and also, “DID YOU FEEL THAT? !” We don’t see or feel it because we’re watching through cable television. I’d like to get paid for just walking around in the dark scaring myself. What a thrill, right? I don’t really know. I do know what I’ve felt though personally. On these shows we often see "orbs" fly by on the camera screen. How do we know it's not a dust particle or a little fly? Do we feel the need to believe in these things because maybe we’re too scared of what happens after we’re dead? Is it too difficult for us to face the fact that we really don’t know? Do we make up religions in order to make us feel better about what happens after we die? Here's a link to one of the shows I'm talking about. I thought it would interesting to share some of the views of people whom I know who either believe they’ve seen aliens, believe they could exist, or they have explanations for what UFOs could be. My best friend Jill has always been someone who I’ve looked up to. She always received amazing grades. She is just a naturally intelligent person. She never drank or smoked until she was 21. So when she told me her and her sister saw a UFO fly over her pool during the day while she was swimming, I just was astonished. I automatically assumed she was just messing with me. Jill is a completely level-headed. She would definitely be the person to rationalize the situation. She said while she was swimming with her sister, a saucer type aircraft quickly flew over them. The UFO hovered for about thirty seconds, and then it quickly zoomed off into the sky. She said it went so quickly that it was like it almost just disappeared. She was nineteen when this happened, and her sister was seventeen. My cousin worked at this place called Picatinny Arsenal located near where I live in Morris County. According to Wikipedia, “The Picatinny Arsenal is an American military research and manufacturing facility located on a 6,400-acre of land in Jefferson Township and Rockaway Township in Morris County, New Jersey, United States, encompassing Picatinny Lake and Lake Denmark.” She worked there a long time ago before I was born. I began talking to her about aliens and UFOs when we were at the beach. When you work at this place, you’re sworn to secrecy and was a secretary at this place. Secretaries know everything that’s going on usually, unlike what we see in TV shows or movies. They have to be able to do a million things at once. Anyway, she told me when she worked there, an aircraft was built which is much bigger than any plane in which anyone had ever seen. She said the aircraft is placed underground, and it’s rectangular and is for the president to use if he needs protection from any kind of disaster on Earth for which he and his family are unsafe. Apparently, this aircraft is supposed to be able to go into space. She was saying to me that we don’t know what our government does, and to say there aren’t any aliens would be putting blinders on. Her point was that we don’t always know exactly what our government is testing, and she wasn’t even supposed to be telling me that. An unidentified flying object can be anything our government is testing, or it could even be aliens! 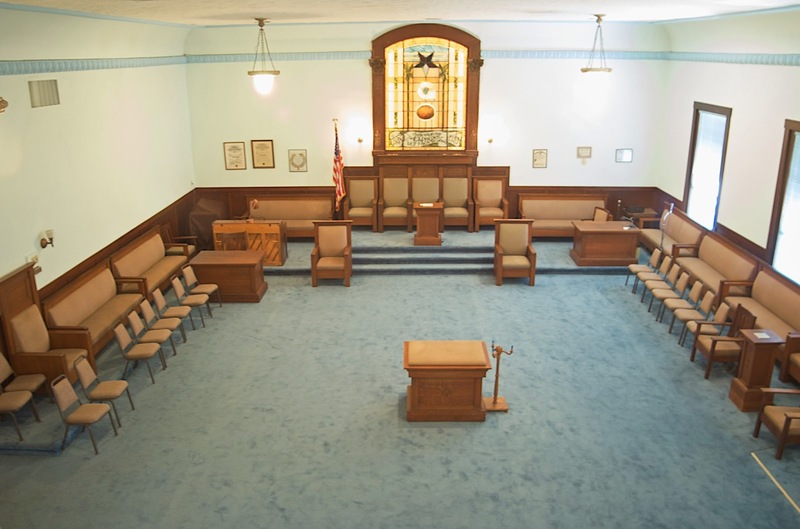 My father, along with other brothers, invited all family into where they have meetings. My dad was earning a pin for being a member for I think thirty years. I placed the pin on my dad because they asked if anyone would like to. I, of course, was like “HEY, I’LL DO IT!” Women aren't usually allowed in there. What I found very interesting later after the ceremony was a smaller room where it appeared to be where men would hang out, relax, and talk. There were photos of I suppose different “chapters” of men (I’m not really sure), but one framed photo was of almost all NJ State Police. There were so many of them! There had to have been about 30-40 men in the photo, but it was older… Probably from the mid-1980s. 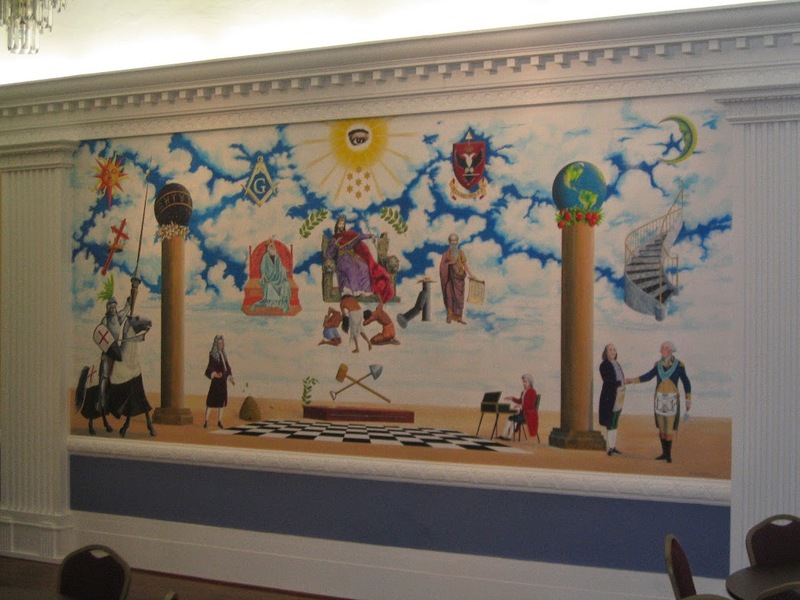 Another thing I found very interesting was in the big room where the ceremony was held. The room reminded me of a church honestly. My favorite thing in the room was at the back (close to where you walk in). There were these two planet Earths that lit up. I was told what they represented, but I was provided so much information that I just didn't understand. There are some very infamous movies that are supposedly cursed. There have been deaths and injuries on set, deaths and injuries in subsequent years after the filming or movie premiere; all of which affected cast and crew as well as their families. Some movies you would expect to be cursed, like the Amityville Horror, Poltergeist, The Omen, and the Exorcist. But movies like Superman as well as The Wizard of Oz have been branded as cursed, as well. The recent Amityville Horror remake had a lot of supernatural hype surrounding it, from the body of a dead fisherman washing ashore or the real-life father’s death before filming began, to the fact that Ryan Reynolds kept waking up at the exact same time that his character used to. The Poltergeist has had some very well-known instances which label the trilogy as haunted. In each of the three movies, a lead has died after post-production. First to die was the actress who played the teenage daughter, and then there was the death of a male character in the second, and lastly the tragic death of the 12-year-old after the third film. The supposed reasoning for this curse was because Steven Spielberg's is said to have used real human skeletons as props in the first film's swimming pool sequence, although it’s never actually been proven that this is true. The Exorcist has also had its fair share of tragedies on set—Linda Blair was thrown a little too far during one scene and injured her back pretty badly. As many as nine other deaths plagued the filming processes too; various unexplained accidents also occurred on the set, including fires. A real priest was brought in to figure out what was going on at the set, and apparently the verdict was that someone whose name started with “S” didn’t want the movie being made. That’s pretty creepy if you believe it. The Omen was possibly the most cursed, out of this list of films. There were a lot of accidents that happened during the filming of this movie. Three very important cast/crew members were all aboard planes that were struck or almost struck by lightning; another plane that the crew planned to use for aerial filming but was reserved elsewhere at the last minute crashed during that flight and killed everyone onboard; a hotel used for filming was bombed by the IRA while filming was occurring; the day after the film's safari park scene was filmed, an animal handler was mauled by a lion while other animal handlers were attacked by dogs; the star of the movie, Gregory Peck's, son committed suicide several weeks before filming commenced; and several crew members were involved in a head-on car accident during the very first day of filming. Also (on a Friday the 13th, nonetheless!) the special-effects designer John Richardson— who had been in charge of a very bloody decapitation scene from the movie— got into a car accident that left his assistant, who was in the passenger seat, decapitated. There was a remake of Omen recently, and the director was quoted as attributing ruined footage due to supernatural forces. Apparently the camera kept reading Error 666—which, of course according to the repairman of the camera, was an error message that didn’t actually exist. Now, like I said, some cursed films don’t have to be horror films. The Wizard of Oz is one of those “normal” films that are considered cursed. Of course there is the infamous hanging munchkin scene, which actually has been debunked! What people thought was a human figure hung from a tree in the background was actually a very large bird. But Judy Garland’s spiral into drug abuse afterwards is attested to the curse, as well as Uncle Henry’s death before the premiere and Auntie Em’s suicide. Also, Margaret Hamilton (the Wicked Witch of the West) was severely burned during the scene when she bursts into flames—a stunt person was also burned during the same stunt. The Superman series of films has also had its fair share of accidents that can be called supernatural. George Reeves was found in his bedroom as an apparent victim of suicide; Christopher Reeve was paralyzed during an equestrian accident; Richard Pryor’s death, and Margot Kidder’s bipolar meltdown. Dean Cain and Brandon Routh have not had anything serious happen to them as of yet, but each actor’s career has almost come to a standstill afterwards. So far Henry Cavill seems to have escaped the curse—but like I said, that’s only as of right now. There are plenty other movies that are supposedly cursed; if you Google it you can come up with a plethora of interesting and creepy anecdotes from them. This is a subject that’s always fascinated and yet terrified me, because it’s obviously a trend in Hollywood films. Obviously, most of these events are just coincidence and pseudoscience, because being around that much equipment on a film set and also being so busy on a film set can account for accidents more than the supernatural can. Film crews and casts are enormous, so statistically the odds of someone dying in that amount of people are pretty decent—and that’s normal, not supernatural. These are famous words that we grow up learning about and hearing, even if we weren’t old enough to witness the moon landing itself. The moon landing was not only a big step for mankind, but for history too. To travel into space is to prove that we small human beings are, in fact, worthy and capable of doing something remarkable; that we can take control of our fate and our lives on this small planet. We are so-called Masters of the Universe. But there are some people who think they can call NASA out on a bluff with the whole thing. 20% of the American population believes that the moon landing, the entire thing, was a hoax. That’s right, a hoax. Their belief is that the entire footage of the moon landing was shot on a soundstage. And to be honest, they have some compelling arguments for the theory. One of the most well-known bits of “evidence” seemingly supporting the moon landing conspiracy theory hoax is the supposedly waving flag they plant on the surface of the moon—there’s no wind in a vacuum, which is supposedly what space is. NASA says the flag moved because the astronauts were touching the pole to dig it into the moon surface, or because it had been in a tube and, when unfurled, it got wrinkled. Conspiracy theorists also claim that if the lunar module actually landed on the moon, then there would have been a blast crater under it, or at least some sort of indication that it hit the ground, rather than just being placed there. There is no obvious indentation or misplacement of soil in the still pictures of the landing. Conspiracy theorists also point out that there seem to be multiple light sources in the moon landing footage, as shadows do not run parallel with each other. NASA has said that the bumps and hills on the moon’s surface interfered with the Sun’s light and created the uneven shadows. The creepiest, to me, “evidence” that the moon landing was a hoax is the “unexplained object”. That is the name for the weird floating thing that is reflected in an astronaut’s helmet from the Apollo 12 mission. Theorists believe it looks like a theatre spotlight hanging from the ceiling—but, take it from an actor, that doesn’t look like any theatre light I’ve ever seen. So, what can it be? Alien or man-made? It remains a mystery to this day, and still creepy. The last argument against the moon landing that I’ll cover today is the argument being made about the lack of stars in the video and photographic footage. It’s funny, because I didn’t even notice that until I read about it while researching this. But it’s true; the background is just plain black in all of the footage from the moon landing. Seeing as the moon has no clouds or pollution to block them, stars should be pretty visible, and also brighter than what we see through our Earth’s atmosphere. NASA released a statement about the lack of stars, which blamed the quality of the photographs. They said the quality washed out the stars. But the argument for theorists is that NASA would have found it impossible to map out the exact locations of all stars for the hoax without being found out, and therefore left them out. You can take pretty low quality pictures on Earth, with all of its pollution and clouds and atmosphere blocking the stars and still have the stars in the picture, so really if you think about it, why couldn’t you on the moon when you have a high-quality camera and when there’s nothing at all blocking them? There are a lot of reasons conspiracy theorists believe the moon landing was a hoax—and while some are clearly scrambling for proof, some others are pretty convincing. I’m not sure what to think, but it is certainly interesting to hear what they have to say about the matter. It’s funny, really, because if you think about it: with half of the population believing the government is hiding aliens from us, and now with half of the population believing we can’t even travel into space—well, you just can’t win. If you want to read more about why conspiracy theorists believe the moon landing was a hoax, there’s an article here that lists 10 reasons why conspiracy theorists believe what they believe. 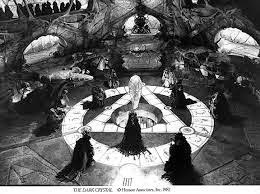 Occult tarot card readings have remained a common source for divination in popular culture for many decades. The cryptic symbols on the cards convince unwary customers to believe in the oracular power of simple cards. Tarot cards actually originated as complex, but, nonetheless, ordinary card game in 15th century Europe. It was not until the late 18th century that the cards garnered their occult connotations, largely as a result of the efforts of Jean-Baptiste Alliette and Marie-Anne Adelaide Lenormand. As one might expect, the mystic qualities of tarot cards were only substantiated by the anecdotes of practitioners. Claims of the cards' origin in ancient Egyptian mysticism gave the cards an exotic, yet alluring presence, despite any real evidence to support this. The claims made to substantiate the occult powers of tarot cards are noticeably lacking in several areas of thought. Disregarding for the time being that there is no information to support these claims, much less any credible data or observations, practitioners of tarot card readings make numerous assumptions with complete disregard for the implications that would come with them. To believe that ordinary cards could unlock secrets about the future and the nature of the universe is to completely depart from logical thought. It is bad enough that this poor assumption is being made, but stacked on top of it is a rather greedy neglect for what one would consider to be the proper use of these "divine powers." If the key to deciphering future events were really so simple, is it really wise to be using it to determine the success of relationships or winning lottery numbers? The last public hanging in Morristown, NJ occurred in 1833. A man by the name of Antoine Le Blanc was hired by the Sayre family to help around the farm. La Blanc murdered the Sayre Family by bludgeoning them with a shovel and killed their servant girl Phoebe with an axe. He was caught, tried, convicted, and hung in the Green in Morristown. The hanging was a major event in Morristown history. It turned into quite a celebration. To cover the expenses of the trial and subsequent celebration, Le corpse was skinned and made into wallets and purses. In 1946 the old Sayre House was converted into a restaurant called Jimmy’s. It suffered a devastating fire in 1957. After the fire, reconstruction included additions and expansion to the building while maintaining the tree that was kept growing through the atrium dining area. There was one room which was Phoebe's bedroom, that could never be heated properly and the waitresses working in that room would sometimes see Phoebe's reflection in the mirror and not their own. Waitresses also reported the feeling of chilling hands being placed on their shoulders. One owner of the restaurant noted the ghostly time he had when his keys disappeared right off his desk. He searched and searched, but could not find them. He returned to his office and had his back to his desk and heard the keys drop. Sure enough, he turned around and there they were right where he had originally left them. Psychics indicate that both LeBlanc and Phoebe exist in the place as restless entities. They've tried to exorcise the spirits, but cooks and wait staff alike at Jimmy's have continued to describe eerie sensations. One waiter claimed that he was spun fully around by an unseen force. The gallows are still inside the Morris County Courthouse, in the attic. Unani is an alternative medicine that is practiced mainly over in Asia, and has limited use in the western world. It is the belief that the human body has four humors; blood, phlegm, yellow bile and black bile. If an imbalance occurs than it will cause some sort of disease. Some of the treatments include those out of medieval times. Bloodletting and leeching are very common practices to purify the blood and let the toxins drain out. They also use cauterization for internal and external purposes, they burn the tissue or skin that has the disease. Derivation is a herbal paste applied to the skin to draw up the excess blood and toxins, it creates blisters and rashes on the surface to remove harmful toxins. Unani also has 5 different massages that are said to be quite painful that are suppose to correct problems from depression to injury. A unani hospital in India looks like one from the 16th century. Modern science and western doctors tend to refute the claims of unani believers. Unani is cultural infused in these countries and the lack of education on modern science and medicine has helped it grow. The growth in this type of treatment is alarming due to many scientific breakthroughs that discredit these types of practices. While looking the countries the countries that use this alternative medicine we see a trend of being less educated and having less disposable income to spend on western type treatment. We also see that this has been around for centuries and is deeply embedded into their culture. The people that use this treatment are looking for a way to get better and have hope that ancient treatments can help them. Many doctors and scholars in medicine believe the best way to correct this is to try to educate people in these regions about modern medicine. Some patients have used modern science like chemotherapy, but when that failed they turned to unani. We can see that people will turn to whatever they can to try and correct or rid them self of a disease or ailment. 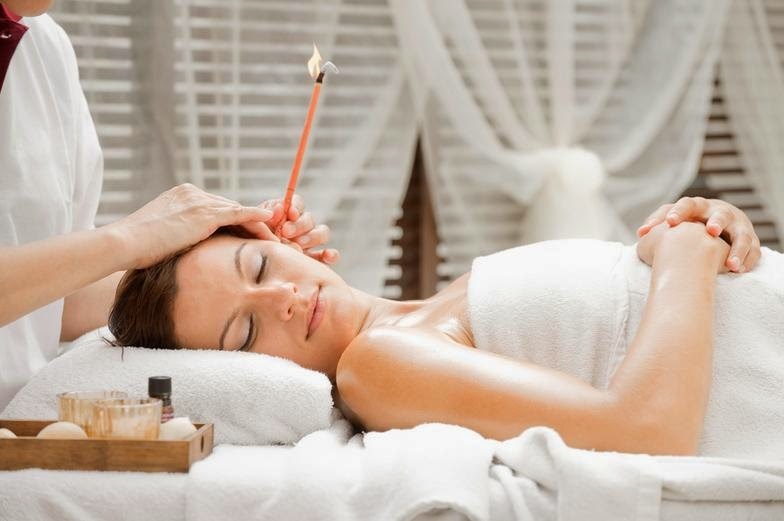 Ear candling, or thermal-auricular therapy, is a technique used to remove ear wax and other impurities from the ear canal. It also compares itself to the healing and therapeutic aspects of acupuncture and aromatherapy. The theory behind this is that the heat will create a suction that draws ear wax into the bottom of a hollow, cone-shaped candle. It is unknown who or what culture started this idea, but it has been around for thousands of years. There is evidence that the first use of this treatment was with glazed clay or stone pottery cones. Research into ear candling has been done and results show that this is not safe for the ear canal. It also does not have the power to heal sinus infections and improve hearing like people had originally thought. It turns out that it only makes matters worse by pushing ear wax deeper into the ear canal. Even with all of this evidence, people still use ear candles because they think it will help them with their clogged ears, sinuses, and hearing problems. As finals are among us, I thought I would address some superstitions that college students have when they take their exams. For the book group project, I am reading Believing in Magic by Stuart Vyse and he talks about some pre-test rituals. The most common one he found (and I found when researching) was that students tend to wear certain clothing on the day of the day. A “lucky scarf” or a “lucky sweatshirt” is believed by students to “carry a part of their brains” thus making the exam easier to take. Students believe that by having a specific article of clothing, they will do better on the exam than if they did not have it at all. Another interesting ritual I found was sleeping with the textbook or notes of the class under your pillow the night before the exam. Some students believe that osmosis, or the process of absorbing information, helps them understand the test materials better while they sleep. This was one pre-exam ritual I tried and learned that it did not help. My knowledge of the material did not come to me through sleeping on my notes and I felt that it made no impact on my test score. The links below have descriptions of other superstitions and some “proven” research of different topics. 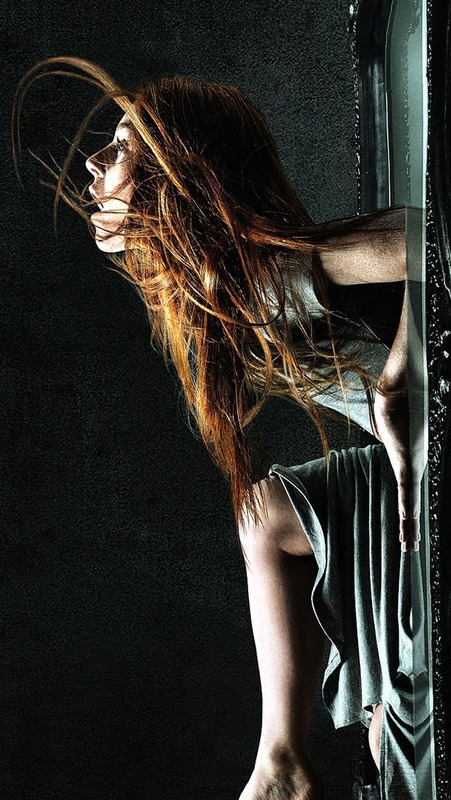 After seeing the movie Oculus this past week (which I do not recommend unless you are into slow paced scary movies), I starting thinking about mirror superstitions. Oculus’s main character is a supernatural mirror that has caused dreadful deaths throughout centuries by taking over the minds of those in the home it occupies. The main characters sets up computers, video cameras, and heat detecting devices to catch the vicious mirror in the act…Let’s just say I do not want to spoil the ending for you! The most common mirror superstition is breaking a mirror. Breaking a mirror is supposed to bring seven years of bad luck. I did not know that this superstition originated from the times when people used water to see their reflections. Evolving from ancient Rome, it takes seven years time for the soul to renew itself after breaking a mirror. There is also a superstition dealing with death and mirrors, particularly with the Jewish religion. It is believed that mirrors need to be covered after someone dies in the house in order to prevent the soul of the deceased from being trapped within the mirror. In some cases, the mirrors are covered in order to not let a soul, who died a tragic death, to possess a living body in the house. Mirrors are believed to hold supernatural power. For example, I am sure you have, or witnessed someone, chant “Bloody Mary” while standing in front of the mirror with the lights turned off. This urban legend is one of the most famous mirror related superstitions. Millions of people are interested in ghosts. 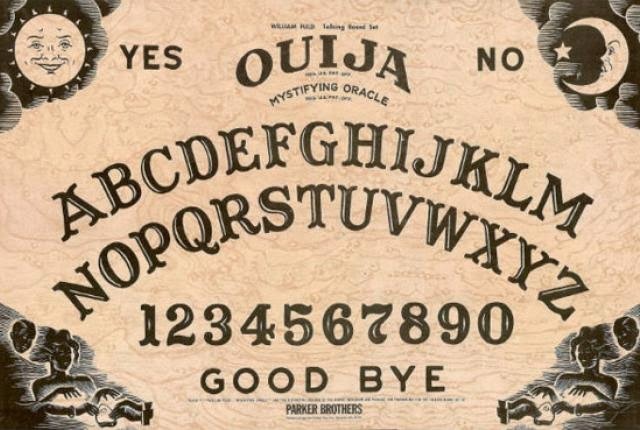 A 2005 poll found that 37% of Americans believe in haunted house, and even more believe in ghosts. These ghosts investigators think they are being scientific if they use the Electromagnetic field detectors or infrared cameras. The main challenge for any ghost investigator is separating the facts from myths, and misunderstandings. On the show Ghost Hunters, the successful show on the Syfy channel displays noises in which the “expert” ghost hunters hear, and run towards. These noises may just be a creek in the old wooden house, yet they may think the noise is a ghost who is trying to talk to them. Throughout an article written by Ben Radford on the website called “The Committee for Skeptical Inquiry” he has some very good points, that a person who is interested in making valid “ghost” hunting claims must take into consideration. These ghost hunters must use science for their claims to even be considered real. With the use of new technology professionals using editing software can manipulate photos, this is another big question when looking into ghost pictures. · Assuming that no specialized knowledge or expertise is needed to effectively investigate ghosts. · Failing to consider alternative explanations for anomalous or “unexplained” phenomena. · Considering subjective feelings and emotions as evidence of ghostly encounters. · Using improper and unscientific investigation methods. · Focusing on the history of a haunted location instead of the specific phenomena reported at it.